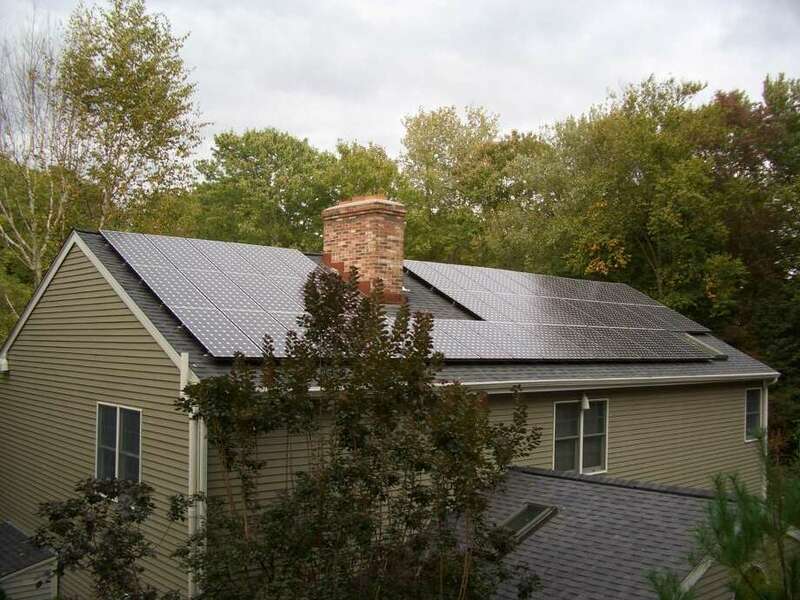 Residential and commercial property owners in Fairfield who own solar and other renewable energy systems are now eligible for a new tax break. With a unanimous vote by the RTM last week, four new town ordinances -- sponsored by RTM members Jeff Steele, Josh Garskof, David Cullen and Chad Stewart -- were approved that would grant property tax exemptions for installation of various renewable energy systems or equipment utilized for residential and commercial properties. The four ordinances each provide a 100 percent property tax exemption for the use of a specific renewable energy technology. The exemption can be applied for annually for 15 years following installation of the system. That's good news for Craig Curley, whose Lakewood Drive home has a photovoltaic system -- 48 solar panels on the rear roof. Normally, the addition of solar panels would cause a property's tax value to increase. However, the exemption will treat the panels -- at least from the assessor's standpoint -- as if they don't exist during the next townwide property revaluation. "Without this I would run the risk of getting charged an additional property tax," he said. The first ordinance grants tax exemptions on "active solar heating and cooling systems." An active system is defined as equipment that collects, transfers, stores and uses incident solar energy for water heating, space heating or cooling, which without that system, would require conventional energy resources, such as petroleum products, natural gas or electricity. This ordinance is available to residential and commercial properties and has no generation limit. The second is for tax exemptions on "passive" or "hybrid" solar energy heating or cooling systems. A passive system is one that utilizes structural elements of a building (e.g., greenhouse or large windows) to collect incident solar energy and its storage and distribution for use in water heating or space heating or cooling. A hybrid system consists of both active and passive elements. This ordinance is also available to residential and commercial properties and has no generation limit. The third ordinance is for tax exemptions on any co-generation system installed on or after July 1, 2007, with the exception of additions to resource-recovery facilities. A co-generation system is defined as equipment designed, operated and installed to produce, in the same process, electricity and exhaust steam, waste steam, heat or other resultant thermal energy which is used for space or water heating or cooling, industrial, commercial, manufacturing or other useful purposes. The fourth ordinance is expected to have the most far-reaching impact in that it encompasses a larger class of technologies, known as "Class 1" renewable energy sources. Such sources include energy derived from solar power, wind power, a fuel cell, methane gas from landfills, ocean thermal power, wave or tidal power, hydropower, geothermal and biomass. There are some generation limits imposed on hydropower and biomass facilities, and all are applicable only to facilities installed for the generation of electricity for private residential use or on a farm, unlike the others that can be used for residential and commercial applications. The new ordinances aren't expected to cost the town tax revenue, according to Tom Browne, Fairfield's assessor. For example, Browne will take the increased value of the property due to installation of the renewable system over and above what the value of the property was using a conventional system. Therefore, if someone spends $110,000 on a system, but according to Browne's manuals, the actual increase in value is $100,000 (using round numbers), then that person would normally be taxed on 70 percent of that increase in value (as with an addition to a house). To calculate the normal tax, he would multiply $70,000 by the current mill rate of 0.01927, which yields $1.348.90 per year in taxes that must be paid by the owner. However, the Connecticut General Statutes state there is a 100 percent exemption of the taxable amount, not the entire investment. The town basically breaks even while the resident saves on paying $1,348 in additional taxes. Curley's photovoltaic system had a price tag of $75,000. However, the Connecticut Clean Energy Fund subsidized about $35,000 of that figure, knocking down Curley's out-of-pocket expense to $40,000. There is a substantial upfront cost to putting in such a system, but over the long run, homeowners end up coming out ahead financially. "It can take about 10 years before you get a full payback," Curley said, but added that solar panels can last 25 to 30 years. In addition, the more utility company rates rise, the quicker the return on an investment in a renewable system. "I had mine installed before a lot of the rate increases of 2008 and 2009, so I expect pay back within 10 years," said Curley, who had his system installed in 2007. During the day, when the sun shines and no one is at home and lights are off, the electric meter at Curley's home actually spins backward, generating surplus energy that is sold back to the grid and used by other Fairfield residents, he said. He doesn't regret the investment. "In the spring and the fall, when we're not using A/C, I may go March, April and May without having a bill, and then the same thing in September/October," Curley said. "I only pay for electricity in winter and the heat of summer. Overall, over the course of the year, the system covers 75 percent of the home's electric usage." RTM members are hopeful the new ordinances will inspire others to go greener, but when it comes to solar power, it just hasn't caught on like in other parts of the nation, according to Browne. "New England doesn't really have the climate for solar application like you would have in the Southwest," he said. However, that is the purpose of passing the ordinances, according to Jeff Steele, chief sponsor of the legislation and the RTM moderator. "We need to make people in town aware of these tax exemptions that now exist, as they could not only impact the financial position of over two dozen current residential properties in Fairfield that have already installed renewable energy systems but, more importantly, they could act as a small incentive for other residents and commercial property owners to seriously consider installing one of several different renewable systems. "They will benefit by taking advantage of the tax break, the inherent electricity savings, and the opportunity to hopefully reduce carbon footprints in our town and the surrounding areas," he said. Those who would like to take advantage of one of the tax exemptions must fill out a claim and file it with the assessor on or before the first day of November in the applicable assessment year.